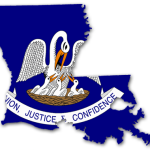 The Louisiana Association of Self-Insured Employers (LASIE) celebrated its 25th anniversary this year. After a quarter century of evolving service to the self-insured community across the state – and a recent expansion beyond self-insured workers’ compensation to all lines of self-insurance – the organization is reflecting on itself and the future. Louisiana Comp Blog reached out to founding member David Bondy, President and CEO of LUBA Workers’ Comp, to get his perspective on where LASIE has been and where it’s going now. Comp Blog: Explain to me what your role was in founding LASIE. How did it all start? 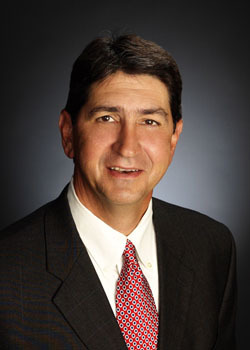 Bondy: The workers’ compensation market in Louisiana was in disarray when it all started. The assigned risk pool was still in existence and 90 percent of business in the state was going there. It was a complete nightmare for employers. At that time, I was a senior vice president at a TPA that managed several workers’ comp self-insured funds [SIFs]. We didn’t have any kind of association that was really representing us and our needs in the legislature or with the public. And from the self-insured fund perspective in particular, we were looking to have an association to gain some more credibility. We felt that funds provided a good coverage alternative to the assigned risk pool but that employers either didn’t know we existed or didn’t trust us. We wanted recognition of this strong alternative to the assigned risk pool and that was the impetus. Comp Blog: What was the first step after you determined those goals? Bondy: It all started with the founding of Homebuilders SIF in 1980. Paul Moore was the Administrator of Homebuilders at the time. By the time we were thinking about starting an association to represent his program and others, Paul had an interest in the National Council of Self-Insurers. We attended their 1990 national convention in Portland to get a feel for what they did and see how they could help us. It was really a great meeting and we talked to people all over the country about the challenges we face as an industry. Once we got back to Louisiana, we reached the conclusion that we needed our own chapter. Comp Blog: How did you come up with the name and when did it all launch? 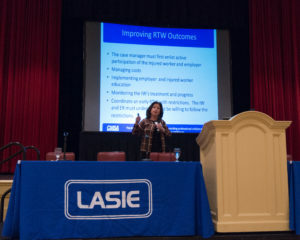 Bondy: We came up with the Louisiana Association of Self-Insured Employers because the acronym “LASIE” was catchy. 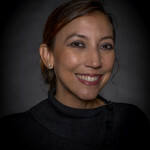 The original tag line was “watch dog of self-insurance.” We decided as a group that it would be good to reach out to the individual self-insureds as well as the funds to find out what their issues were. Reinsurance and the availability of it was a big one and still is. Comp Blog: What was the timeline for the entire process? Bondy: From conception to operation it took about one year – 1991 was our first year of operation. 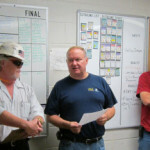 LUBA Workers’ Comp, which is now a standard insurance company, was also formed that year, so it was a busy year for me! I was LASIE’s second President after the formation and I’m still at LUBA as the CEO today. We started as a self-insured fund, so we’re still active members of LASIE. Comp Blog: Where do you see LASIE going in the next 25 years, now that its mission expansion is well in place? Bondy: Well, we’ve seen a decrease in self-insured funds in recent years, for various reasons. However, the workers’ comp market in Louisiana is healthy and LASIE is a part of that success. SIFs are no doubt still the lifeblood of LASIE, because that’s where it all started, but I think the future of the organization will be increased focus on the individual self-insureds and their needs. Comp Blog: What do you think is LASIE’s biggest contribution from its founding to now? 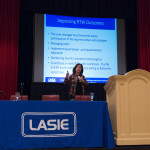 Bondy: LASIE’s biggest contribution to the workers’ comp market in Louisiana is its recognition of something pretty simple – if you pay attention to the basics your program will be a success. What I mean by that is: pay your claims fairly, develop effective loss control, and practice aggressive medical management. It’s not rocket science, as the saying goes!